Choose from five kinds of ramen—and a selection of pork- or chicken-based broths—at this hole-in-the-wall Japanese chain. 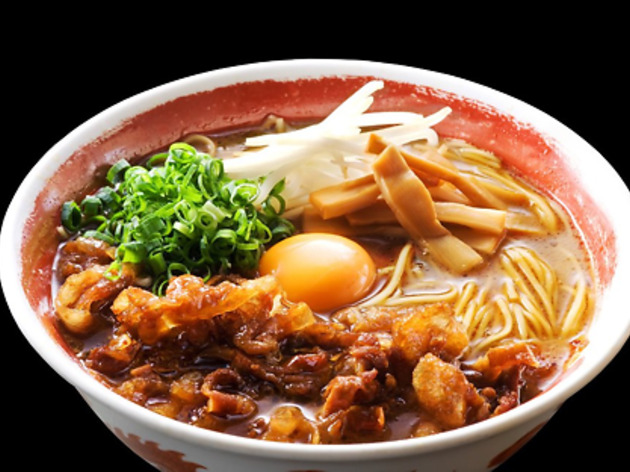 Choose from five kinds of ramen—and a selection of pork- or chicken-based broths—at this Japanese chain. 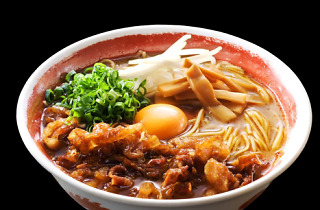 The vibe is reassuringly hole-in-the-wall, and the Tokushima-style ramen is legit, served with toppings like sweet corn, bamboo shoots, green onions, kikurage mushroom, nori, raw pasteurized egg and braised, simmered or stir-fried pork. The hearty, slightly thicker-than-usual noodles are served slightly firm and soften slowly in the milky, creamy broth.